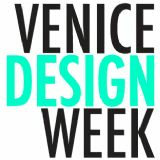 Venice Design Week is hosted in one of the most art addict cities: Venice. Taking place annually, this week long festival plays host to an array of local, regional, national and international design, architectural and creative names. It will showcase all disciplines of design, from graphic design to urban scale, advanced manufacturing and technology, product design and fashion. We will promote an exciting, varied programme, including exhibitions, workshops, talks, installations, product launches, open studios and walking trails. The week's worth of activity will join together venues across Calli and Campielli.